In order to achieve success, you don’t just have to do good work — you also have to get the word out there about your brand. As a graphic designer, the act of meeting people and promoting your skills and services might not come naturally. However, the importance of networking shouldn’t be overlooked since relationships are key to any business. In other words, the more robust your creative network, the more enduring your business will be. You might think that networking is just giving out business cards to prospects, but that approach highly ineffective. Instead, you should establish a creative network in two steps. The first is to identify the people who will help you achieve success. Obviously, designers will provide the advice and guidance you need, while positive relationships with clients will lead to more business for you. At the same time, consider reaching out to industry peers with skill sets that complement yours, such as web developers, photographers, to name a few — you never know when they might refer projects to you, or vice versa. Next, find out how to connect with the people you’ve identified. Social media is probably the fastest and easiest way to establish your creative network. The best ones will allow you to showcase your work, connect with the right people, and keep you updated on the latest design trends — all with just a click of the mouse. Before you dive in, take note of the following things so you don’t damage your reputation on social media. For a start, if you already have personal accounts on these sites, consider creating an account for work use — unless you want clients to see how drunk you were last weekend. Also, no one likes spam, so don’t do it. Instead, try to add value to any conversation you have. Now that you’re prepared, let’s see how you can establish your creative network on some of these platforms. Facebook Groups are all about communication, sharing, and interaction. You will find groups for everything and everyone, so take your time to explore and join those that are ideal for your purpose. Google+ is often overlooked, but actually has many communities for freelance graphic designers such as yourself. Better yet, you can instantly connect with other members through Google Hangouts. Twitter makes it easy for you to follow creatives who inspire you. Make yourself visible by commenting on and favoriting tweets, or even strike up a conversation by sending a Direct Message. Also, learn to use hashtags to discover conversations that might interest you. LinkedIn is a social networking service for business professionals — exactly the people you should network with. Be sure to create and publish your own content if you want to increase your visibility. SlideShare is also part of LinkedIn, and gets a lot of traffic from business owners. As a suggestion, consider turning your portfolio into a SlideShare deck, so others can comment and give feedback. Instagram is perfect for a graphic designer. Not only are there tons of inspiration, you can also share your work for all the world to see. Don’t forget to tag your images with relevant hashtags in order to reach out to the right people and gain followers. When others like or comment, follow them back and do the same whenever you can. Besides the services mentioned above, there are also ones that are made specially for creatives. Behance is part of Adobe, and the social network for the creative world to connect and build relationships with one another. Many industry experts are on Behance, so take the chance to get valuable advice from them. Dribbble is a hub of activity and inspiration. Similar to Behance, you can follow your favorite designers and ask for feedback on your work. If you’re interested in color inspiration and trends, then COLOURlovers is worth checking out. The community is made up of all kinds of people, gathered together under the common love of color. Instead of reaching out people, you might want to let them come to you by creating a blog. Blogging helps you get discovered on the internet and establishes you as an authority. In other words, you’re creating your own online presence and networking with people who are interested in your content. Although social media is great for establishing your creative network, you can only do so much to build relationships without face-to-face networking. As such, you have to go out there and meet people. Join meetups to mingle with like-minded individuals near you. If you can’t find one in your area, take the initiative to create your own. Don’t hesitate to sign up for events related to graphic design. You will not only make new contacts, but also learn something new in the process. One way to make the experience less awkward to find out who else is attending the event through social media and reach out to them there first. Learning to listen goes a long way to building relationships. Sometimes, you’re too focused on your own thoughts, and not pay enough attention to what’s being said. As such, it’s important to show that you’re listening and respond appropriately. You can also ask open-ended questions to facilitate the conversation. Networking is a two-way street, which means you should give back as much — if not more — than you take. At the same time, you shouldn’t feel the need to put others down; make sure that any feedback you give is well-thought-out and constructive. Finally, if someone doesn’t respond to you, don’t take it too personally; there are always others who will appreciate what you have to offer. You need time and practice to establish your creative network, but keep a positive outlook and approach each new person with good intentions. 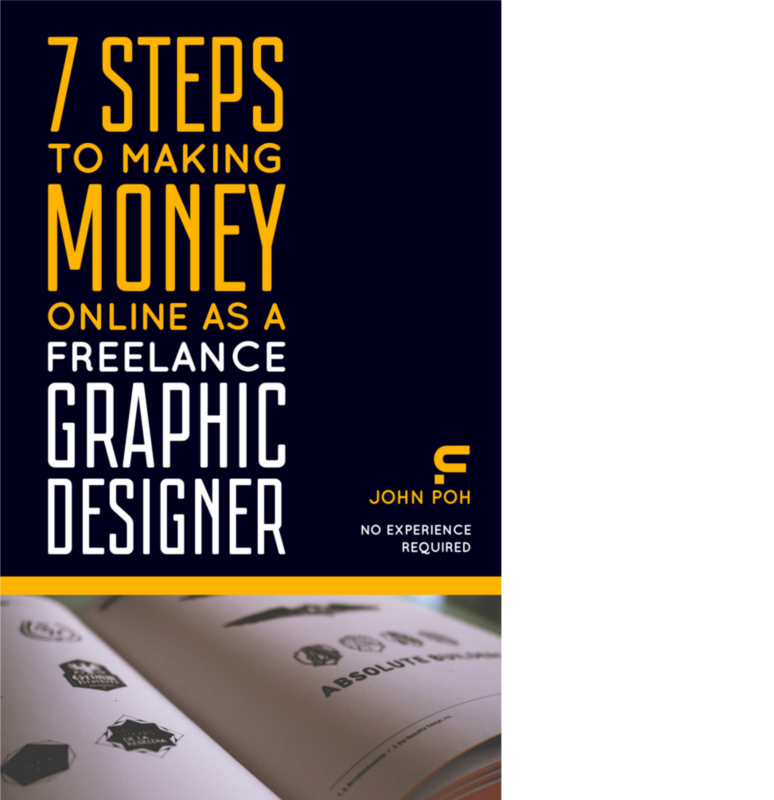 By connecting to the right people, they will be able to help you grow and achieve success as a freelance graphic designer.